Synergy Gymnastics, Tumbling, Trampoline & Birthday Parties. All current students auto re-enrolled. Click below to go directly to class schedule. Welcome to Synergy Gymnastics website. 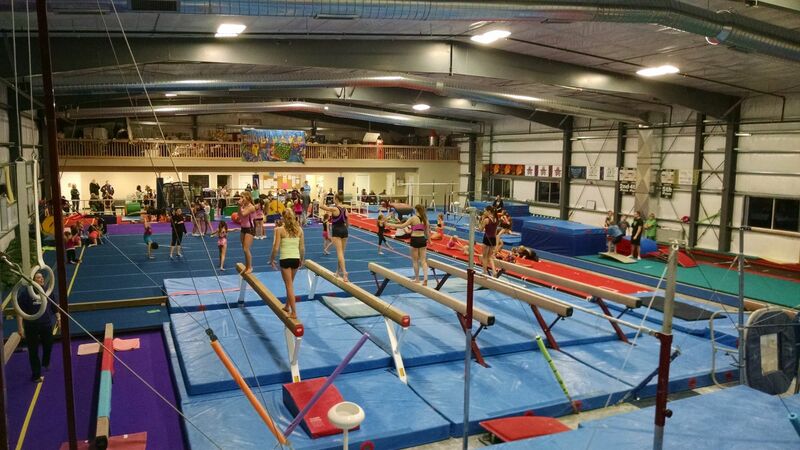 You have just found newest and hottest gymnastics facility in Cedar Rapids – Coralville Corridor area. Synergy Gymnastics was established in September of 2011 by some of the most experienced and highly qualified gymnastics coaches in entire country. Olympian Alex Kolyvanov Barcelona, Spain '92 with 20 years of coaching experience and Oksana Kolyvanova with 17 years of coaching experience from beginner level to upper levels of gymnastics. We come from Voronezh gymnastics school - one of the most decorated schools in entire Russia. We are professional gymnastics coaches and former gymnasts ourselves. Our background provides us with strong technical knowledge, safety orientation and tremendous drive to lead kids to be physically fit, happy and grow to be good all-around people. Kid’s development is what we value the most; we believe high gymnastics achievements will come as a result of proper training, discipline and dedication. We pledge to be gymnastics instructors that value and demonstrate these quality characteristics to your children. We have fun doing what we do, our gymnasts experience the same; however it is always a balance of fun and hard work. Synergy Gymnastics provides gymnastics classes for kids from 18 month old to highest levels of gymnastics; we offer high quality Power tumbling classes, cheerleading tumbling and most FUN Birthday Parties in the area with inflatable bounce house, gymnastics obstacles and games. Please take your time to learn about us thru this website, and we welcome you to visit us in person and see where and how we do what we do. Come and see our place in person! Gymnastics gives your child the right start in life. Enhances coordination and agility for body awareness and balance. Develops posture and confidant body movement, including agility to land safely. Enhances creativity and builds self-confidence for sport and life. Develops strength and flexibility for life's constant changes. Parent's Night Out! Every first Saturday of the month starting in September. Enjoy a night out and let us take care of your kiddos! Drop them off to have some fun while you take a break! Cheer Program! Learn more here.